Stop for a spell in the Golden Age. 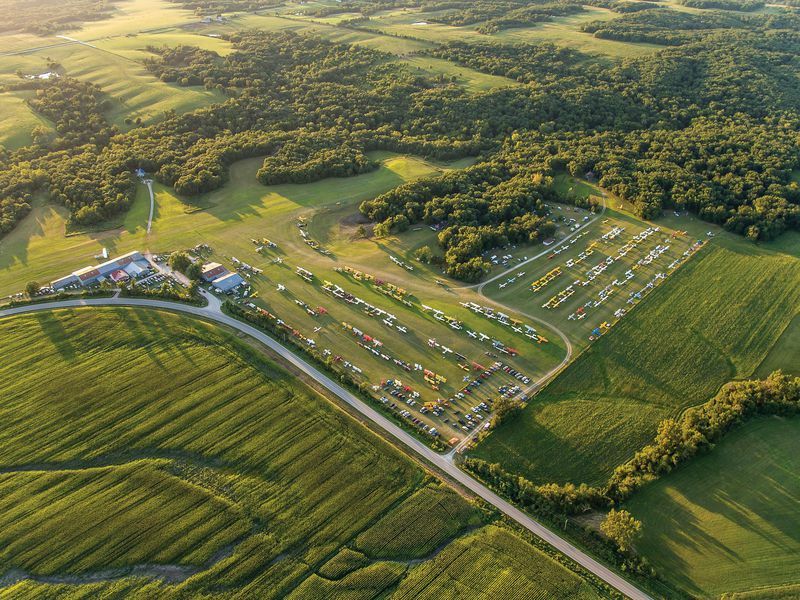 Since 1971 this rural Blakesburg, Iowa, grass strip has been the home of the Antique Airplane Association and its annual Labor Day weekend fly-in. 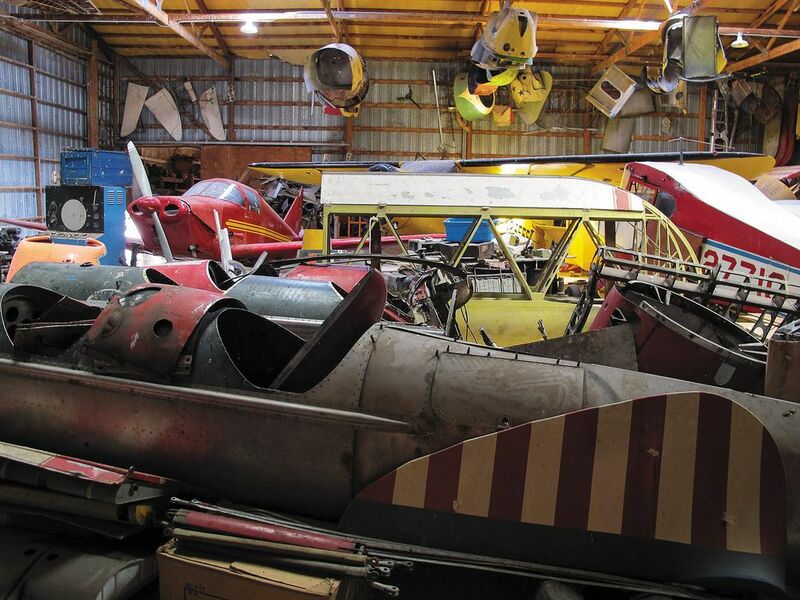 Last year nearly 400 aircraft—most built in the 1930s and 1940s—assembled here, on 177 acres of rolling pasture with corrugated-metal buildings that look like they were left over from the Great Depression. “There’s no control tower and no control zone,” says pilot Ann Pellegreno. “It’s just a very free atmosphere for aviation.” Pellegreno and her husband Don, also a pilot, fly up every summer from their home in Rhome, Texas, in their 1947 Fairchild XNQ-1, one of only three built and the last remaining in the world. “You can sit in front of the hangars and watch the airplanes come in and critique the landings,” she laughs. Landings from the north often entail a bounce or two, which the peanut gallery finds hilarious. 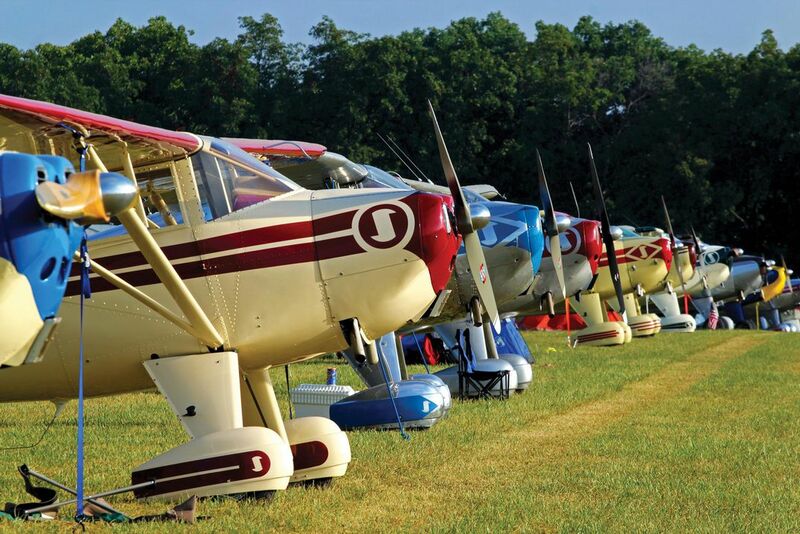 The Antique Airplane Association was created in 1953 when founder Robert Taylor decided that people who restore and fly vintage airplanes would benefit from a community. 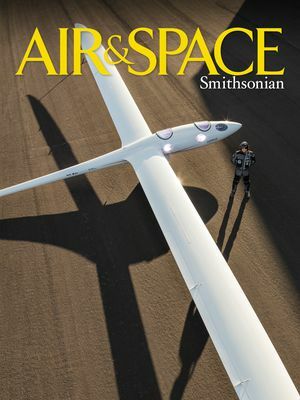 He placed a $12 classified ad in the August issue of Flying magazine soliciting $1-a-year memberships. “We got 12 members that first month,” recalls Taylor, now 91. “We broke even.” Taylor’s office is on the second floor of one of the buildings overlooking the runway; it’s a crow’s nest, dusty and jammed with books, magazines, and memorabilia. “I save everything,” Taylor says. Taylor started the AAA after attending an early meeting of the Experimental Aircraft Association in Milwaukee, which was founded the same year. “Their whole thrust back then was homebuilts and I thought, What the hell, there ought to also be something for old airplanes,” he says. The two organizations have gone down very different paths. Today the EAA holds the largest civil airshow in the world, in Oshkosh, Wisconsin, and has 192,000 members; the AAA has 6,000. And if not for a brief childhood friendship in Taylor’s life, the Antique Airplane Association might not be here at all. Taylor grew up around Ottumwa, Iowa, and as a boy spent time around the Ottumwa airport, about a mile from his grandparents’ farm. It was there that he sat in his first airplane, a Curtiss Robin, and in 1936 took his first airplane ride, in a Ford Tri-motor, which cost $1. He had to borrow 50 cents. His family moved to Englewood, Colorado, during his high school years, and there he met Jack Lowe. The two boys struck up a friendship centered on their interest in aviation. Lowe had cerebral palsy and used a wheelchair. Taylor later reflected, “You know, there are people who can’t stand being around disabled people. Those people who are disabled can tell that. I never felt that about anybody. I never knew what struck him about me.” But Jack Lowe would never forget Bobby Taylor. Taylor left Englewood before graduating, hitchhiked to California with $12 in his pocket, and found work icing donuts. On his 18th birthday, he was hired by Lockheed and worked on the center section of P-38s. During World War II he enlisted in the Army Air Forces and was assigned as a mechanic and crew chief in the Sixth Air Force. 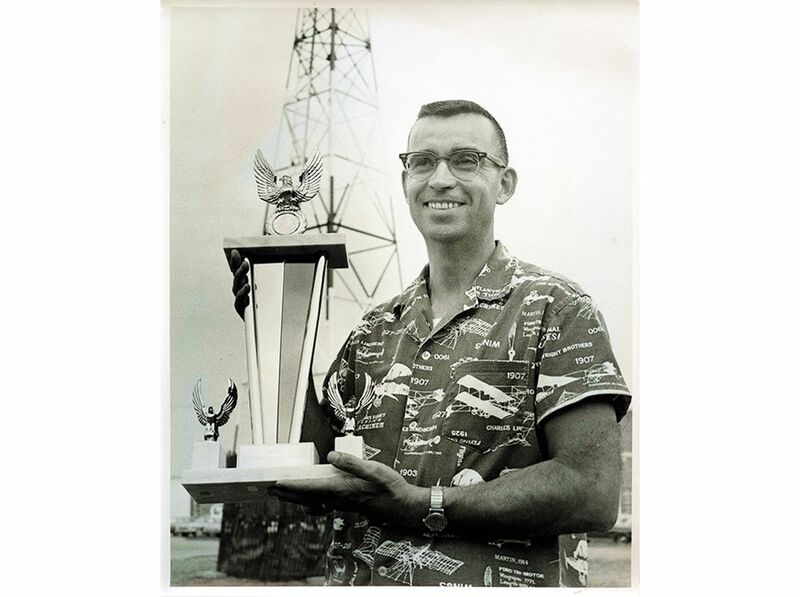 After the war, he attended the Aeronautical University in Chicago and worked at several California aerospace companies before Iowa called him home. The Army also called: He re-enlisted for a year of service during the Korean War. When he returned to Iowa, he worked for the Ottumwa Airport Commission, and later ran the Ottumwa airport’s FBO (fixed base operation). 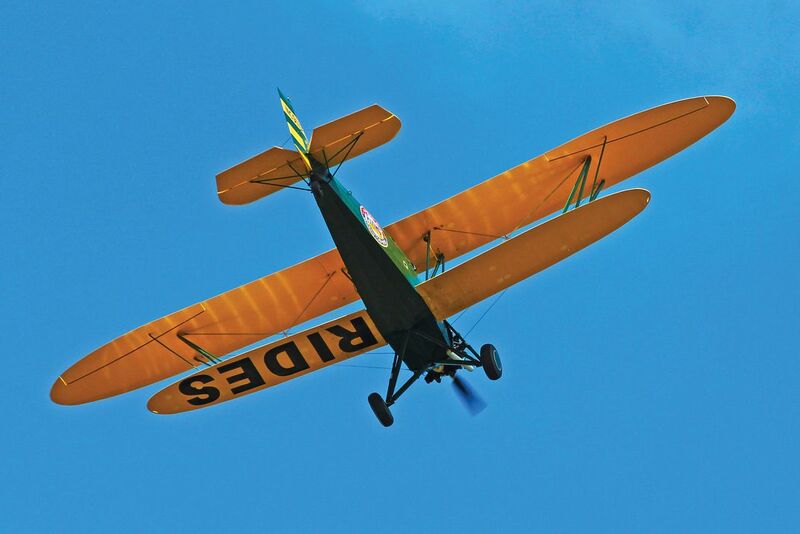 Along the way, he restored vintage airplanes for himself and other owners. “I haven’t done anything but aviation since my 18th birthday,” Taylor says. His fledgling Antique Airplane Association grew. In 1954 it had its first fly-in: five airplanes showed up at the Ottumwa airport. Despite the group’s progress, revenues barely covered the printing and postage for the member newsletter. To take the AAA to the next level and stabilize its finances, Taylor needed several thousand dollars, but money was tight and he had a young family. Then one night the phone rang. It was Lowe’s nurse. Taylor learned that his old friend had inherited the Dayton, Ohio Lowe Brothers paint fortune (the company was later bought out by Sherwin Williams) and was eager to help the association with a check for $3,000. By 1961 the AAA had grown to 700 members, and by the early 1960s the fly-in was a major aviation happening, with over 1,000 aircraft showing up every year. When Jack Lowe died in 1968, he left $100,000 to build what became the Airpower Museum and left Taylor his Lockheed Vega, which Taylor had been restoring at the time, and all the stock in his real estate development company, worth more than $1 million. Taylor used some of the money to buy the site of the current fly-in because, in Taylor’s view, the local government was making it difficult to base the AAA and hold the fly-in at the Ottumwa airport. The move from pavement to unmarked rolling pasture was not without its detractors, and Taylor admits the association lost a few members and encountered logistical difficulties. 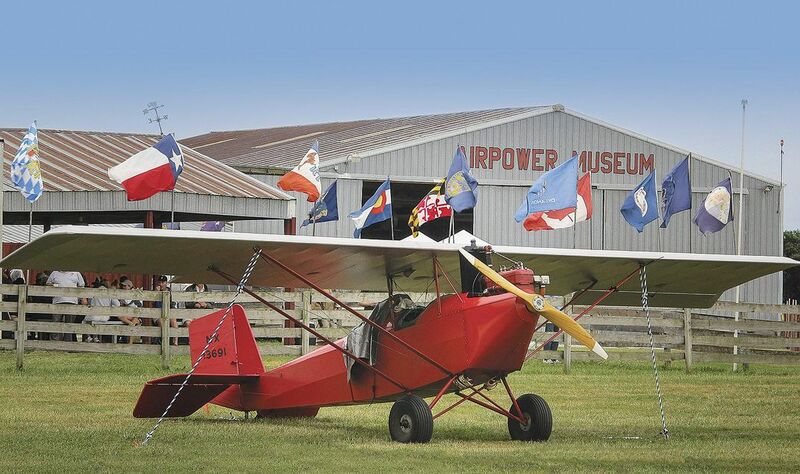 Since the move, the AAA has made improvements: The Airpower Museum, now the joint sponsor of the annual fly-in, exhibits 38 aircraft. Some of them, like the 1936 Rose Parrakeet or the 1939 Brewster B-1 Fleet, have long histories with the association but are exceedingly rare. Among the museum’s prized collection is a 3,400-square-foot Library of Flight, with more than 6,000 volumes. Taylor’s own family follows this model. When he was 16, Robert Taylor’s grandson Ben soloed in a 1941 Interstate Cadet, the same airplane his grandfather soloed in. Not the same type of airplane, the very same Cadet. It’s the airplane both Ben and his father Brent fly today. 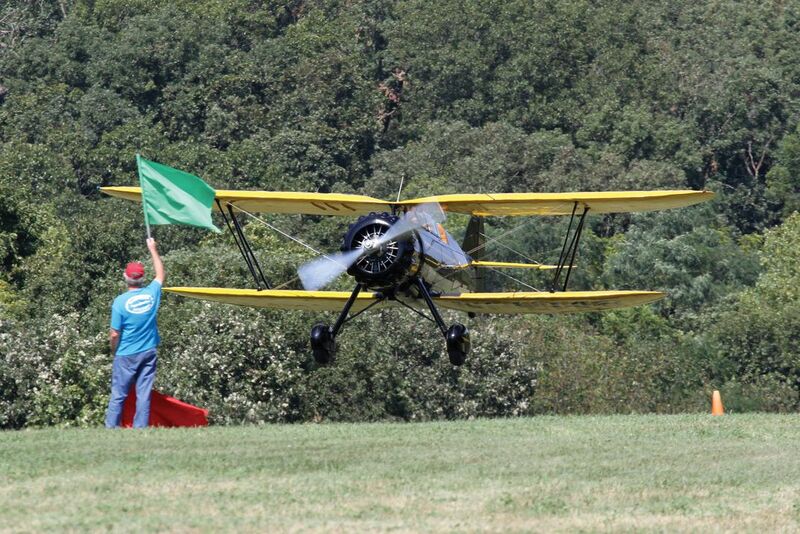 The fly-in has always been a family affair for Harve Applegate of Queen City, Missouri. 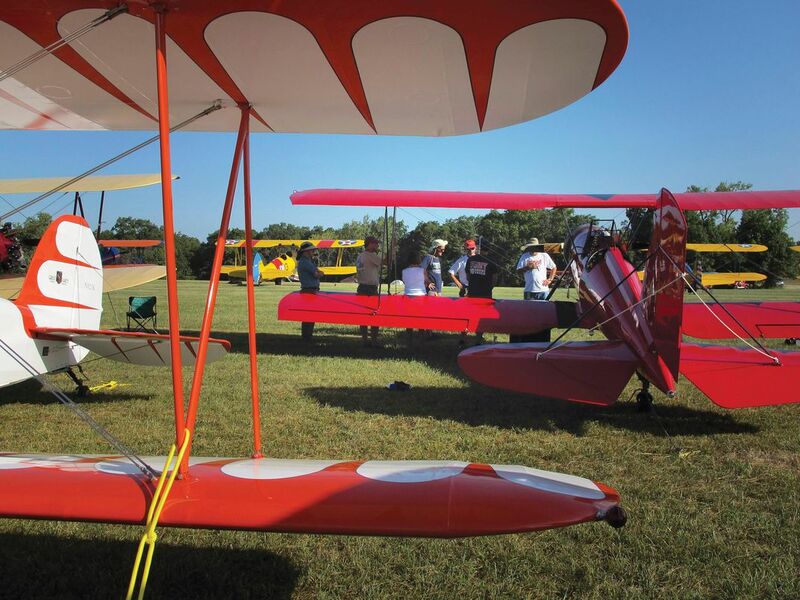 This year Applegate and his flying family brought three airplanes to the fly-in, including a 1947 Stinson 108-1 that has transported five generations of his family, including his daughter, Shalyn. Shalyn started flying when she was 18, and is embarrassed, she says, that she waited so long. At 20, she is a professional pilot with a multi-engine rating. The Stinson looks remarkable, considering that the wings were last re-covered in 1966, the fuselage in 1979, and the door handles have the original plating. “These are the same seats my great-grandfather sat in,” Shalyn notes proudly. 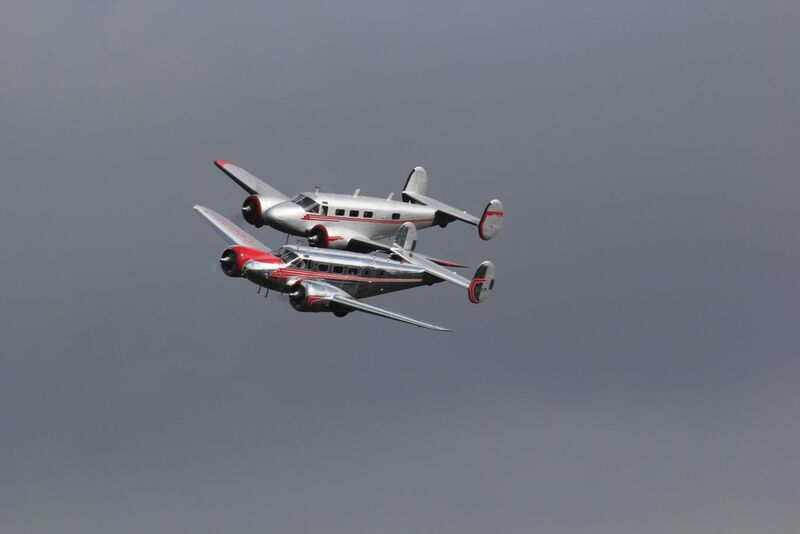 The 2016 fly-in will celebrate this continuity, which sets the AAA/APM event apart from others. According to Brent Taylor, some families have four generations attending. 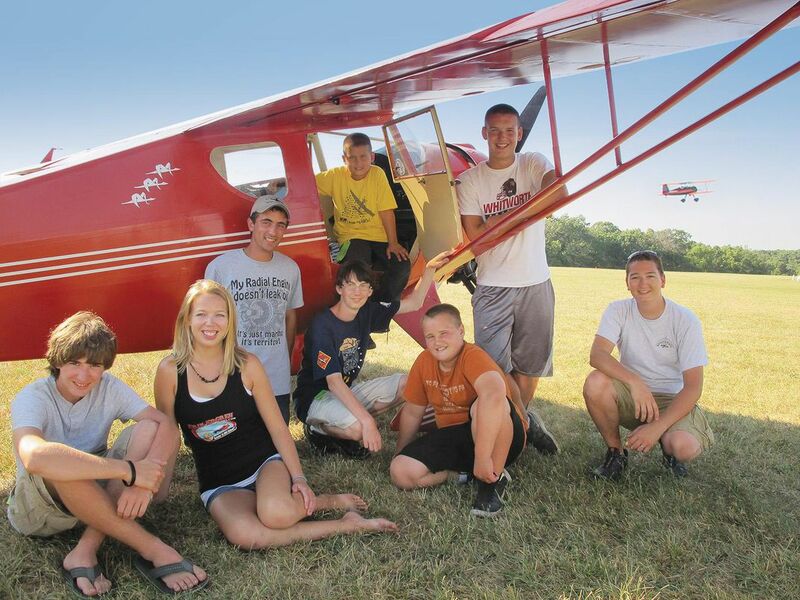 This year, with the theme of “Back to Blakesburg/Back to Basics,” the association has put out a call to “Antique Airfield kids,” all those who were under 18 when they attended their first fly-in at Antique Airfield, starting with the first one in 1971. “We’ve already gotten a lot of interest from people who haven’t been here in a long time,” he says. “It was one of our more brilliant ideas—of the ones we wrote down,” he laughs. One of the AAA local chapters—there are 19 around the country—is an organization of merry pranksters in LeSueur, Minnesota, who call themselves Marginal Aviation. They have been responsible for some of the practical jokes perpetrated at the fly-in over the years: hiding airplanes, alligator sightings, Christmas carolling in September until way too late at night, “rolling” airplanes with toilet paper, and pumpkin dropping. 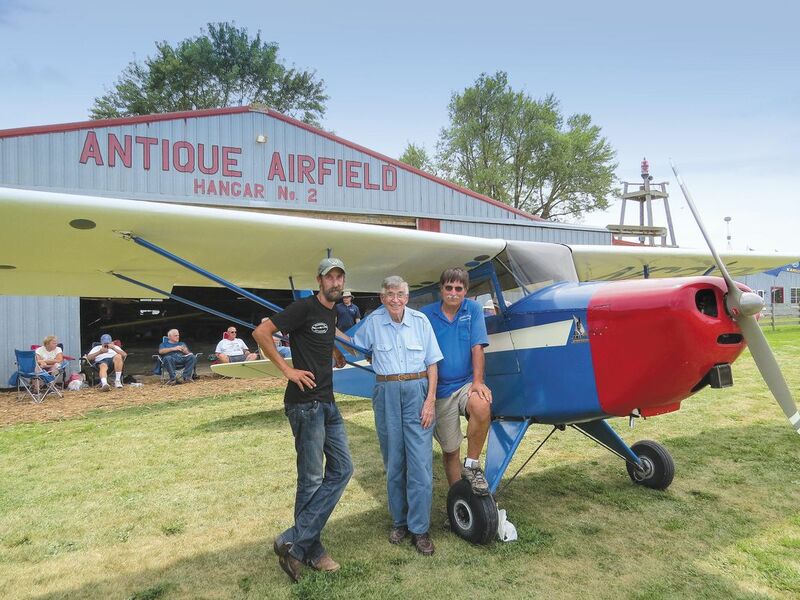 About 100 members volunteer every year to help the Taylors “keep the antiques flying”—the slogan painted in big script on the side of one of the hangars—at the annual fly-in, and various community groups participate as well. The women of the Blakesburg Historical Society sell homemade pie and ice cream. Ann Pellegreno notes with relief that the task of feeding the masses has been outsourced to the catering department of the local supermarket; in Blakesburg’s early days, women volunteers were in charge of provisions. The AAA has become the repository of some drawings, Brent Taylor says. “We have all the drawings here on microfiche for Stinsons, we’ve got all the Howard drawings, and a good portion of the Rearwin drawings,” plus other collections. But some drawings may be gone for good. Shortly after the Herrick amendment passed, the AAA’s Steve Black, director of the Airpower Museum, tested it by requesting drawings for a Stinson 10 from the FAA’s Chicago Aircraft Certification Office. Says Brent: “We got the copies but found all kinds of things mixed up in it, including drawings for a Ryan ST,” a 1930s sport aircraft. Some donations come in after a member has died: The heirs pack up all the airplane stuff and send it in. The duplicates are sent to the museum gift shop, where they’re put up for sale. Besides the 6,000 volumes, the library has a large collection of manuals and periodicals. The basement is jammed wall to wall with boxes of them. You’re going to come out with a smile! The ballad is actually about a brothel, but it could equally apply to a special piece of rolling pasture in Blakesburg, Iowa, thanks to the vision of Robert Taylor.